The beginning of San Fu days (7/17) is only a month away! It is a good time to start scheduling appointments for your patients. Have you placed promotional posters in your clinic? Has your clinic started to accept appointments? It’s time to prepare for the coming summer! 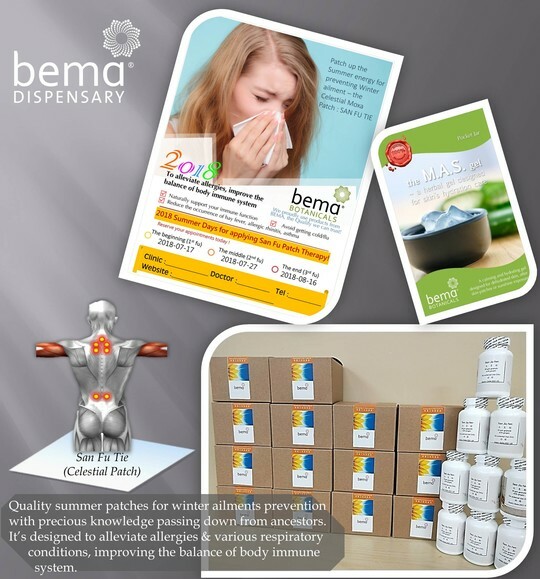 If you don’t have posters to advertise this service, place an order with Bema and receive one with your order. Prepare for the coming July and have your Celestial Moxa materials ready to go. For purchases of three or more San Fu Tie kits, you’ll be eligible for free local standard shipping to the Greater Vancouver Regional District (If you are outside of the GVRD, a comparable shipping discount will be applied).